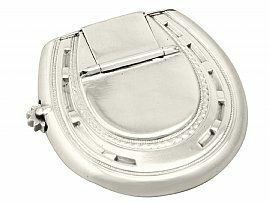 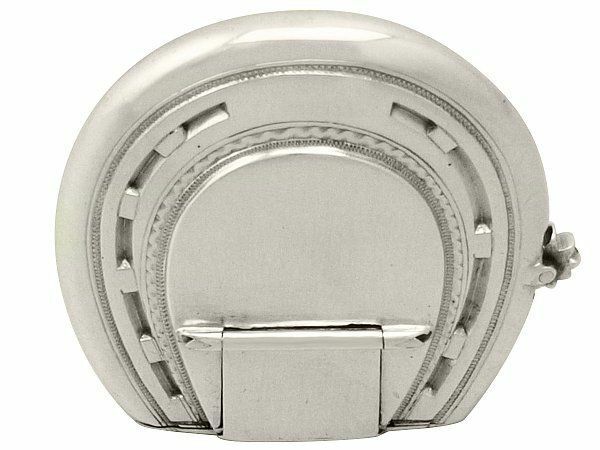 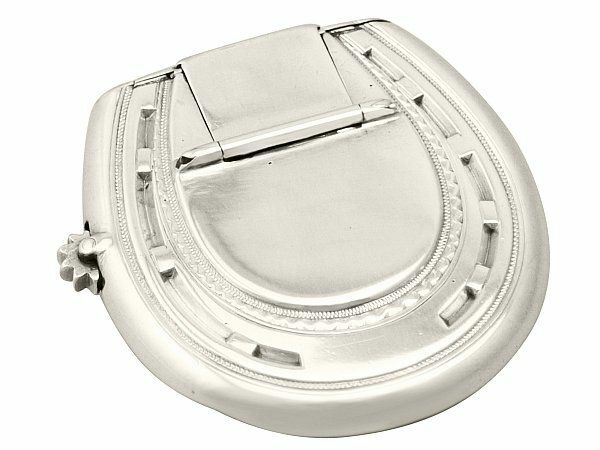 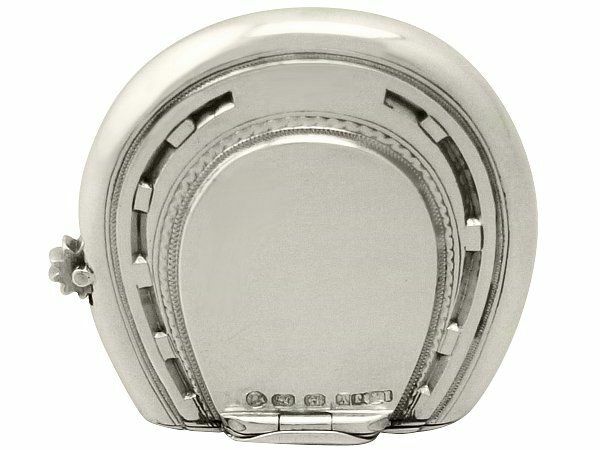 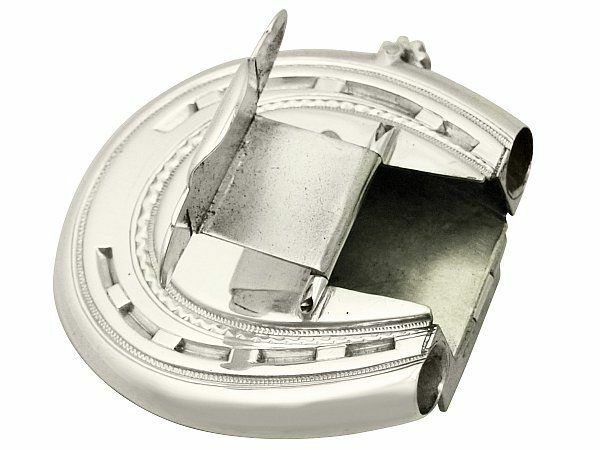 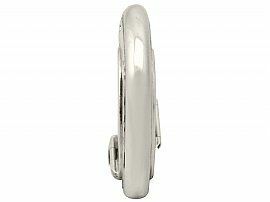 This fine antique Victorian sterling silver vesta case is realistically modelled in the form of a horseshoe. The surface of the body is embellished with embossed decoration reproducing the details of the horseshoe branch, accented with bands of bright cut engraved undulating decoration. 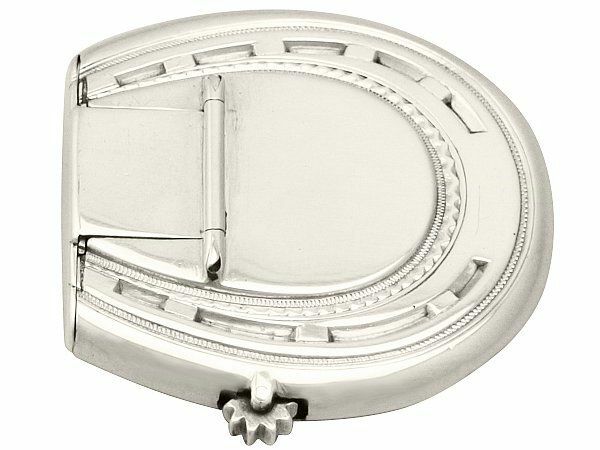 This fine horseshoe vesta case is fitted with a functional revolving rowel enhanced spur wheel striker to one side. 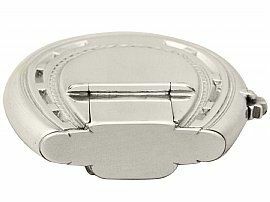 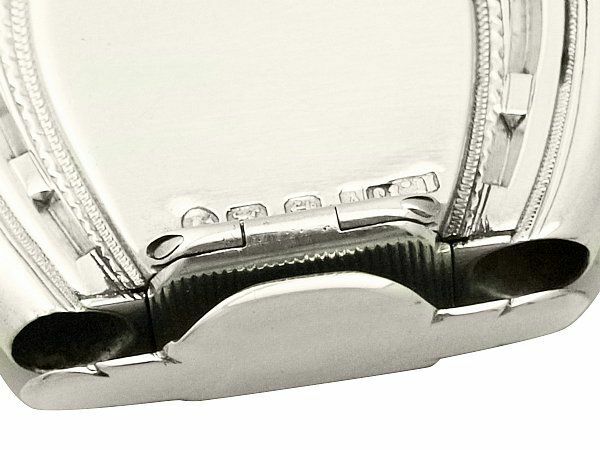 The plain shaped hallmarked hinged cover features a subtly curved thumbpiece which secures to the opposing hinge of the hallmarked serrated panel/match striker. 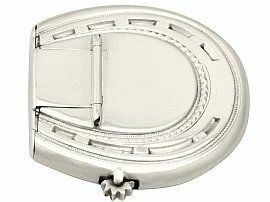 This antique horseshoe vesta case is a very good gauge of silver, fine quality and in exceptional presentation condition. 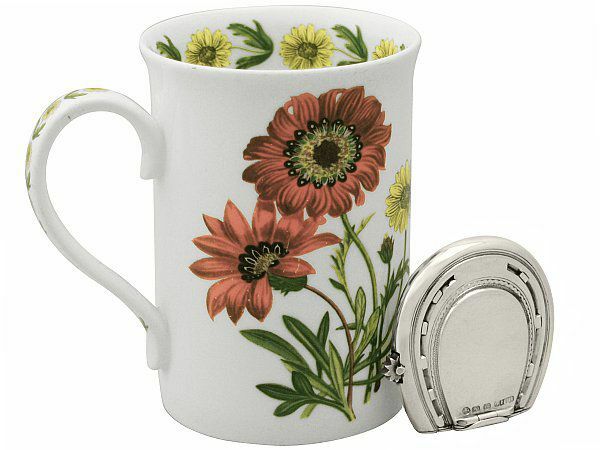 The embossed and bright cut engraved decoration is very crisp. 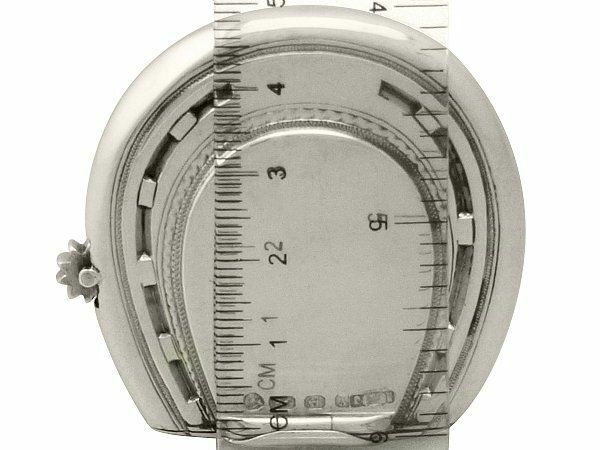 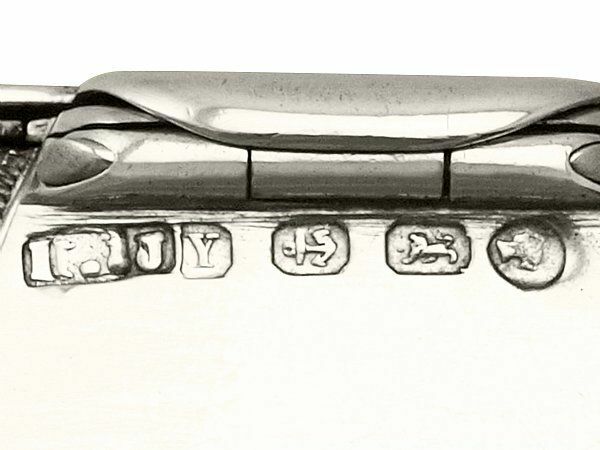 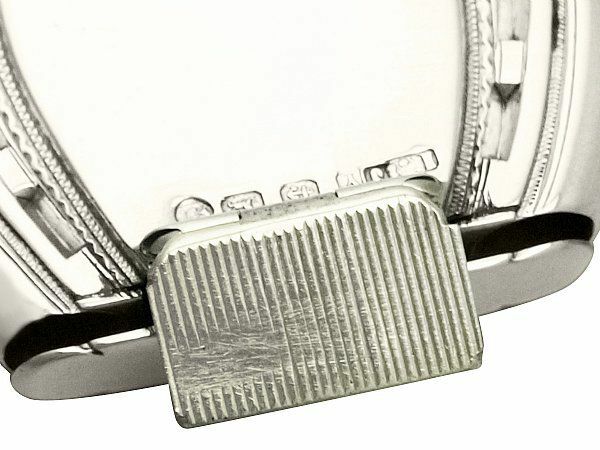 Full hallmarks struck to the surface of the case and part hallmarks to the interior of the cover and match striker are all very clear; the maker's mark has been double struck.